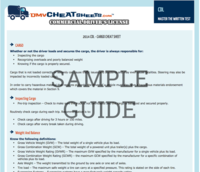 Review sheet designed to help ensure preparedness for the CDL written exam. 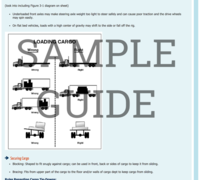 This section covers material on hauling cargo safely. The basic cargo safety rules must be understood in order to get a CDL. If you intend to carry hazardous materials that require placards on the vehicle, then a hazardous materials endorsement is required. 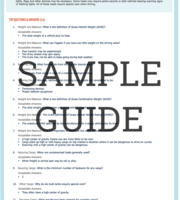 Section 3 covers the material required for the Cargo portion of the exam. Section 9 covers the material required for the hazardous materials endorsement.